For our 'Tips on Tuesday' feature today we're going to share our fifth post on the Baking Equipment In Kenya Explained Series. Today the post is on equipment used to measure ingredients to start mixing the batter. You can also check out our other posts if you haven't already on; Ovens, Baking pans, Mixing Equipment and Cake Decorating tools. It is very important to have a set of measuring spoons and cups. They are mandatory since it's how you measure all your ingredients; dry and liquid. They come in a set of standard measures; cups (1/8c, 1/4c, 1/2c & 1 cup) and Spoons (1/2t, 1/4t & 1 teaspoon, 1/2T & 1 Tablespoon). They can be found together; cups & spoons but you might also find them in separate sets. They come in plastic or stainless steel materials. They are easily found in any major supermarkets such as Tuskys or Nakumatt in Kenya and range from Kshs. 300 to 1,000 based on set size, material and quality. They can also be found in bake-ware shops such as Topserve Ltd on Accra Rd or Walibhai Karim Ltd in Biashara street in Nairobi. This is another important tool to own since it measures large fluid units; it comes in 4-8 cup measurements. it also comes marked with the metric fluid measurements that can make it easier to measure liquids as stated in recipes e.g. 300ml. It comes in glass or plastic material. It is also easily found in Kenya in major supermarkets and kitchen or bake-ware shops. They range from Kshs. 100 to 300 based on material and quality. In baking, using cup measurements at home is easier and low-cost. However, measuring by weight is more accurate and some recipes may have weight measures (e.g. 250gms) instead of volume (e.g. 1/2 cup flour). A simple kitchen scale is very useful for accuracy and very helpful. You can get a spring scale, they are much more economical and easily available in major supermarkets in Kenya. They range from Kshs. 1,000 to 2,500 based on quality and brand. 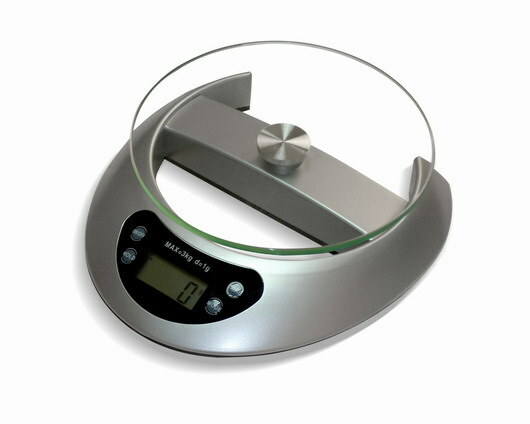 You can also get a digital kitchen scale; they are also easily found in supermarkets and are very easy to use. They range from Kshs. 1,500 to 3,500 based on brand and quality. If you are a serious baker and want to perfect results for your home-baking results by following recipes exactly. For a perfect oven temperature, an oven thermometer would come in handy. They are used for gas and electric ovens that have built-in thermometers but may not be so accurate. 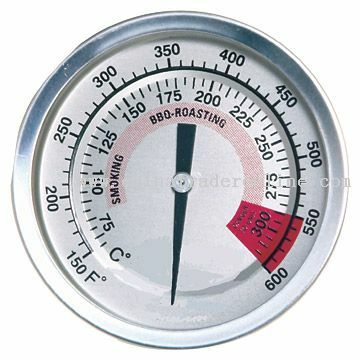 When using the thermometer, you can compensate for any discrepancy; whether oven is too hot or too cold. Oven high temperature thermometers are sold by Cookswell at their Lower Kabete shop as well as their Nanyuki One Stop Shop Branch. Other household equipment vendors in Nairobi sell them as well. They range from Kshs. 1,000 to 1,500. 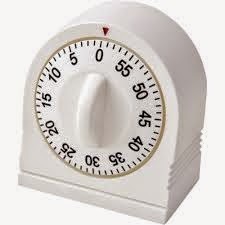 A timer is very helpful if you are a home-baker that has many distraction in the kitchen or if you're multitasking. Most kitchen electric or gas ovens come with a built-in timer so if you have one of those, there is no need to buy one. But for those who use charcoal ovens or if your oven does not have a timer; it's good to have one handy to keep you organized while baking so as not to ruin your wonderful baked desserts. You can find them in some major supermarkets, bake-ware or kitchen ware shops. You can also check at specialty shops for kitchen appliances such as the Kitchen Company at the Junction mall. They range from Kshs. 900 and above based on brand and quality. We hope that this list of top essential items required for measuring has been helpful. If you have any inquiries, suggestions or additions please feel free to comment below. Happy Baking wonderful people ^_^! Nice piece and information. Thank you. Hey where can I buy this set of plastic measuring cups and spoons in Nairobi? Hi Kattz, you can get a set of the measuring cups & spoons in major supermarkets in their cook-ware or kitchen ware aisles such as Nakumatt Lifestyle or Tuskys. Another place that will def have them is walibhai Karim Co. on Biashara Street in the Nairobi CBD. I hope that is helpful, thank you for reading our blog. Very Attractive! Thanks for fantastic blog. We offer baking classes using original Cookswell charcoal ovens. We also offer small bakery business start-up training. Group trainings are offered anywhere in East Africa!